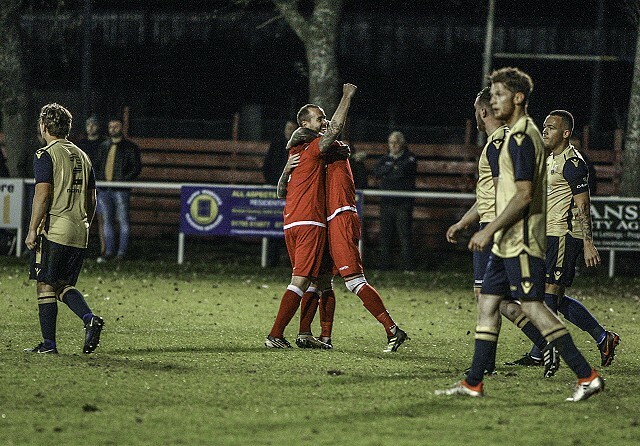 A superb second half comeback saw Briton Ferry Llansawel win their second consecutive Friday night derby at the Old Road beating Port Talbot 3-2 after trailing 2-0 at half time. 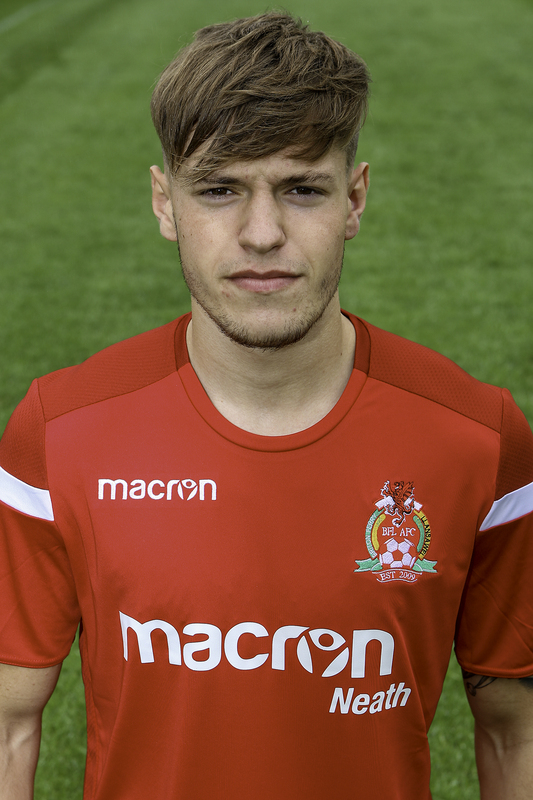 Second half goals from Luke Jones and a brace from the sponsors man of the match Tyler Brock was enough to give the Reds the three points in front of a good home crowd. 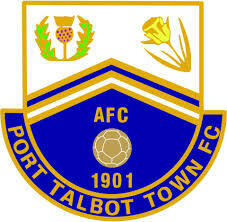 Manager Carl Shaw put faith in the same starting eleven that beat Goytre Utd at home the week earlier but saw new signing from Llanelli Rob Thomas take his place on the bench for the first time in a Sawel jersey.The visitors who have had a massive summer rebuilding project emphasising on youth under manager Mark Pike were welcomed on the pitch by a large and vocal visiting support. Referee Teifion Cook got the derby under way on a perfect evening for football and the young Blues got off to a tremendous start and deservedly took the lead within 10 minutes, with possession lost close to the half way line by the hosts a lethal counter attack allowed Dylan Thomas to set up Morgan Thomas who nestled his header into the far corner past Conah McFenton for 1-0. Forward Thomas could have doubled the lead five minutes later but this time the striker snatched at his chance and missed the target. On 25 minutes against the visitors nearly opened up a two goal lead with Keane Watts having his effort cleared off the line by Luke Harris before Morgan Thomas’ rebound was saved superbly by McFenton. In a one sided first quarter of the game the blues deservedly got their two goal lead after again some poor decision making in their own half allowed Patrick Finneral the chance to square the ball to Watts who this time made no mistake from close range for 2-0. McFenton was again at hand soon after to parry a long range effort from defender Jackson Hall around the post. If anything with the half time whistle going the visitors would have been disappointed not to be returning to the changing rooms with a larger margin after a terrible Ferry performance in the first 45. Some choice words and a forced change saw Sam Baker leave the field with a dead leg, Warren Hudson switched to left back and Liam Hughes entered the fray in the middle of the park for a slight formation change. 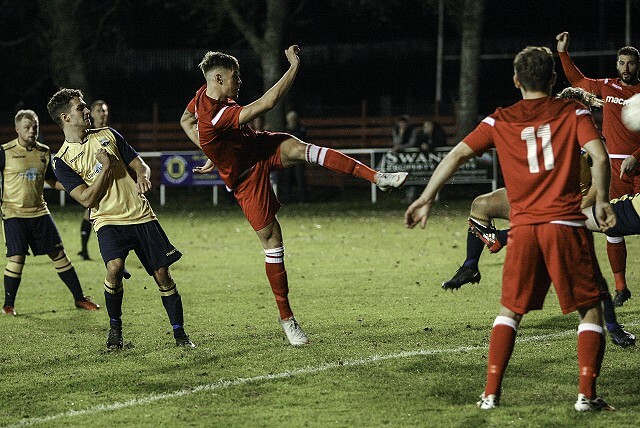 Whatever was said seemed to have done the trick with the Reds intent from the restart to get back in the game, Davey forced a save from Keeper James Harris within a minute and from the resulting corner a nonchalant touch and volley from Tyler Brock found the top corner for 2-1. With belief now running through the veins of the reds urged on by the home support they were finally asking questions of their young opponents. On the hour mark another chance fell to Brock but Harris did well to save with his legs, on 67 minutes though the teams were level another Ferry corner from Davey saw forward Luke Jones climb head home from a Lee Bevan flick on for 2-2. 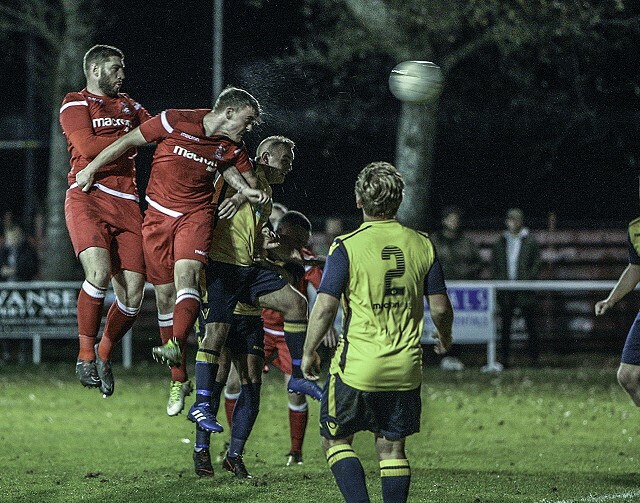 Defender Ian Hillier looked a threat from set pieces and he went close minutes later before playing his part in the third, yet another ball from wide saw Hillier head down to Brock who buried the ball past Harris much to the relief of the Old Road faithful to complete the turn around. Substitute Arnie Ncube who was lively since his introduction on the hour set up Davey for another change with five minutes remaining that went wide of a Harris’ post. Huge credit to Pikes young players and the travelling support though they kept going till the end and saw their final effort close to the end from midfielder Dylan Thomas fly over the bar before Cook blew for full time. The win now sees the reds sit in fifth in the table with third placed Cwmbran Celtic the visitors this Saturday at the Old Road 2.30pm. Superb second half performance full of energy and two great goals.